Thinking to go to Santorini? Think no more and just book your ticket there and I promise you won’t be disappointed. What we did and what I advise you to do is to book a travel guide because for the first time he can take you in the most popular places around the island and also he will explain everything you need to know about Santorini. 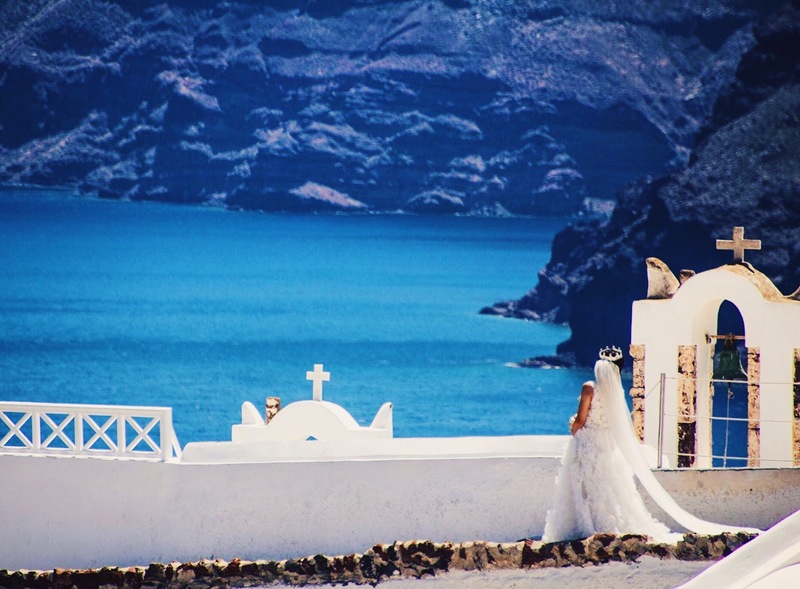 Like for example, did you knew that Santorini is what remains after a volcanic eruption or that Santorini was named by the Latin Empire in the thirteenth century, and is a reference to Saint Irene, from the name of the old cathedral in the village of Perissa !? I’m telling you having a travel guide with you for the first time on the island is the best choice you could make. The excursion starts with a visit to Oia where you can admire the old neo-classical manors as well as the houses carved on the rock, the man made eyries that seem to hang on the edge of the precipice. Oia is the most graphic village of the island with a fantastic view, narrow streets and marvelous mansions. Next we made a stop to Fira where we had some free time to visit the capital or go for shopping. And last but not least, KAMARI. The most popular beach in Santorini which is know for its black sand and crystal clear water. We have no pictures from here as we were so hungry, we could barely move. Now let’s take a look of how the day looked like. Hope you’ll love this place as much I do.